Having a little three year old girl and a one year old boy. Sometimes I defo feel I actually am Mummy Pig. This picture confirms Ethan is George. 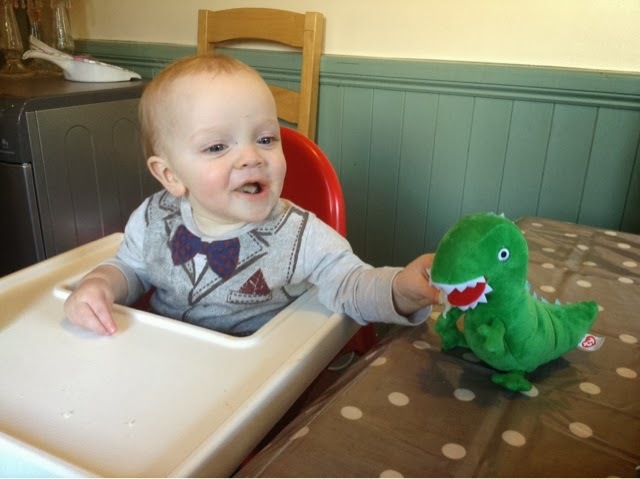 Feeding his dinosaur. Roooar.